Transforming the way we look at cities: Lacaton, Vassal and Druot on housing. 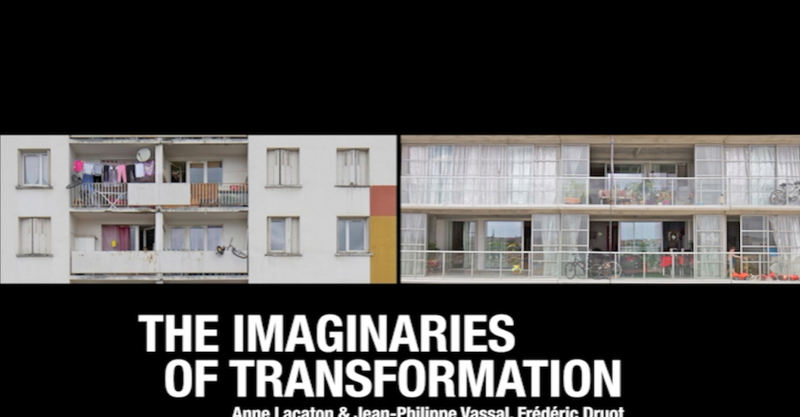 "Imaginaires de transformation", the first film devoted to the approach and the ethics of architects Anne Lacaton & Jean-Philippe Vassal and Frédéric Druot and directed by Karine Dana, casts its light on one of the biggest issues for the contemporary cities: the housing crisis. With their population ever growing, cities are now struggling to accommodate all their inhabitants, pushing out the poorest communities. Already in 2003 these architects have embarked on the transformation of this existing heritage, strongly opposing to the demolition-reconstruction policy put in place by the French government. "Transforming the city means first of all transforming the way we look at it. We need to see it as an assembly of capacities, energies that need to be extended and not as an inert mass to be shaped" declared the architects. Cities are an agglomeration of activities and inhabited spaces: architects and institutions should create the conditions for them to produce an higher quality of life and comfort, densifying the territory. These conditions are rather interdependent and simultaneous: it is useless to think about cities and their evolution without questioning first how we can live there, the quality of housing and the policies on it. "Spatial generosity is the starting point for a possible social life", says one of the press release for the film, "The aim is to provide "extraordinary" answers in terms of housing quality". Lacaton Vassal and Drout writes the precepts for this new architecture's ethic: never demolishing again, never undoing, but rather strengthening the balance of existing urban organizations by adding them up, removing housing from its social and financial classifications and opposing "financial product" housing to match supply and needs. This film is composed by a free, active and intimate conversation between these three architects and by scenes from the project of transformation for the Cité du Grand parc in Bordeaux: 530 literally transformed houses are the starting point for new ways of living and living in the city. Directed by Karine Dana, as part of the Chicago Biennale of Architecture (2015), this film has since been screened at architecture film festivals in Milan, Prague, Budapest and New York.